How did Frank Lowy, Gerry Harvey, Harry Triguboff, Clive Palmer and Kerry Stokes get rich? Many successful billionaires have started from scratch and built massive wealth that has stood the test of time. 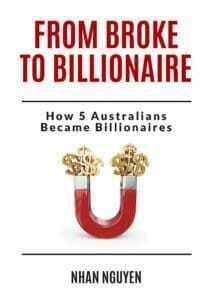 This book explores the strengths of these five self-made billionaires who had the vision, courage and persistence to build phenomenal wealth. • How to identify what’s holding you back from the success you deserve.